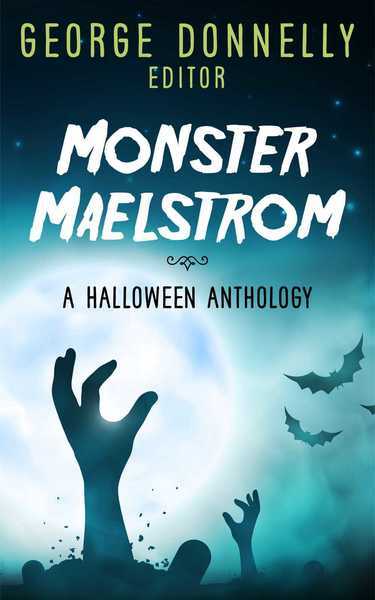 It’s October, and you know what that means? 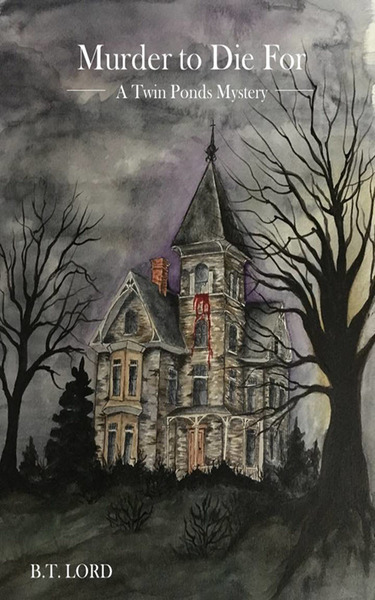 It’s almost Halloween! 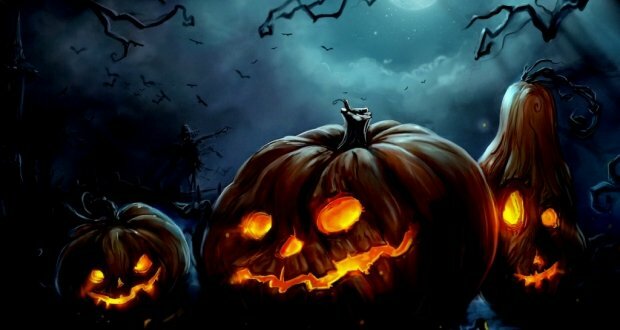 Halloween 2017 is just around the corner, and of course absolutely everyone is gearing up for this year’s celebrations – from costume parties, to pranks, to decorations, and everything else in between! 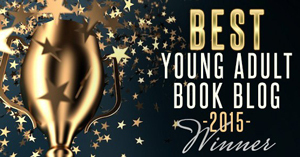 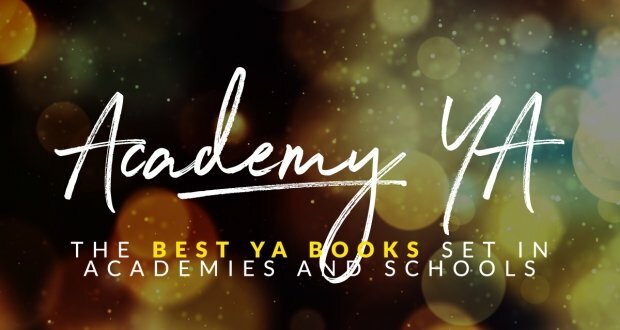 Halloween won’t be complete, however, without a MASSIVE list of YA books to read! 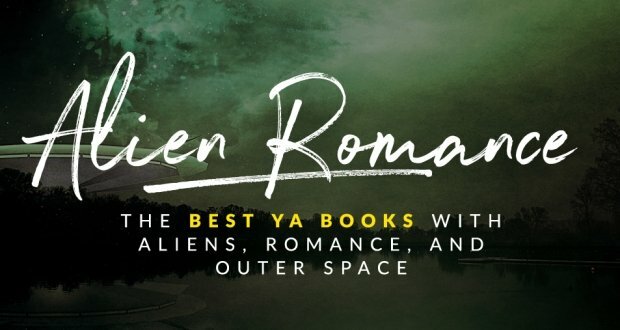 From paranormal romances, to zombies, to shifters, to mythology, to post-apocalyptic stories, and SO MUCH more, here’s a list of MORE THAN 70 thrilling YA books to read for this October! 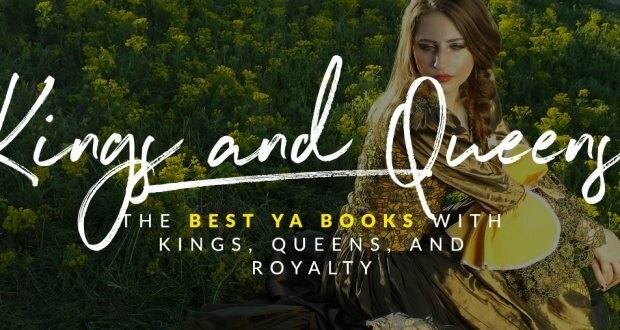 So turn off the lights and hide under your sheets, and get ready for the chills and thrills that these awesome books will deliver! 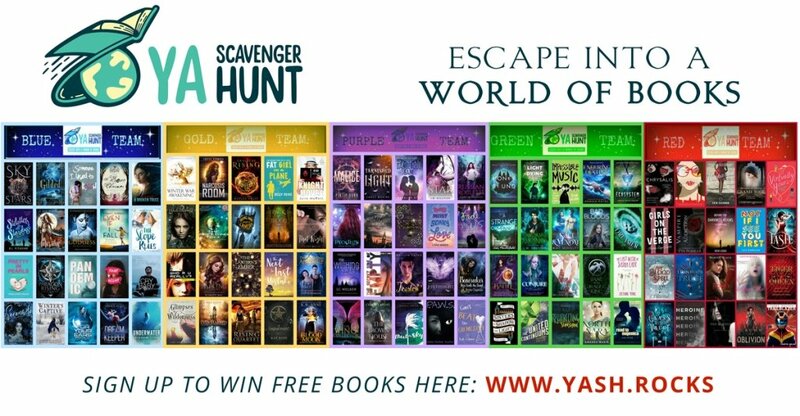 Win any 5 of these books for FREE – Sign up to win HERE. 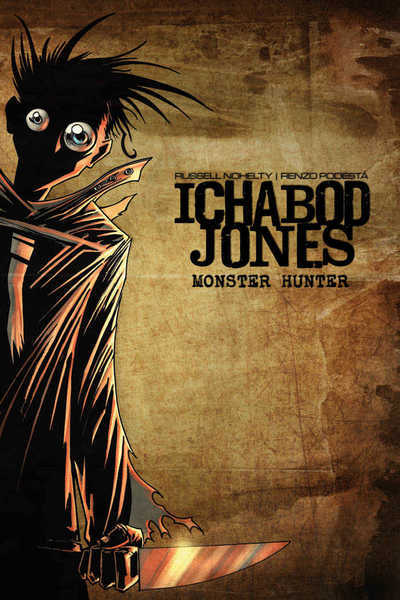 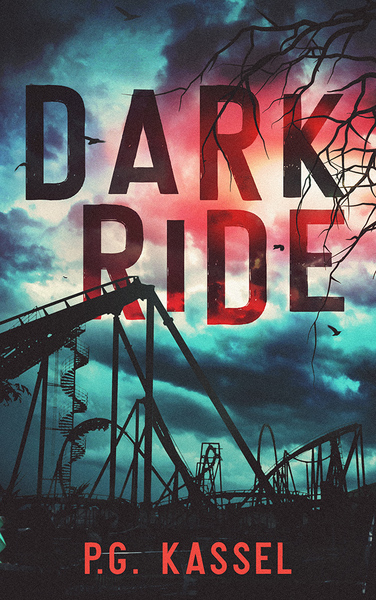 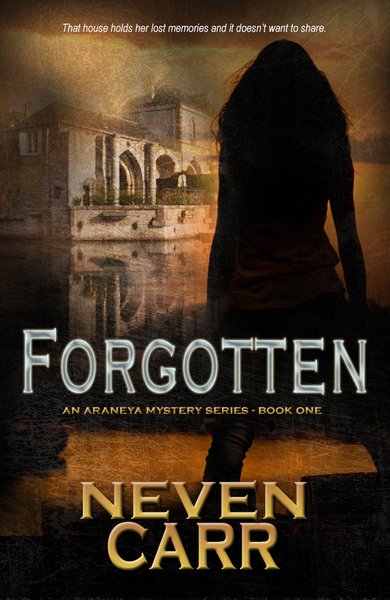 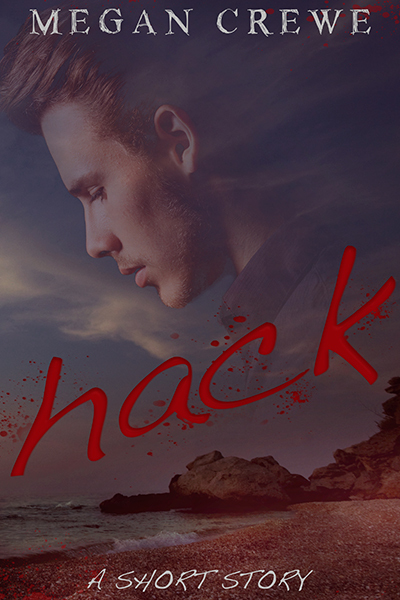 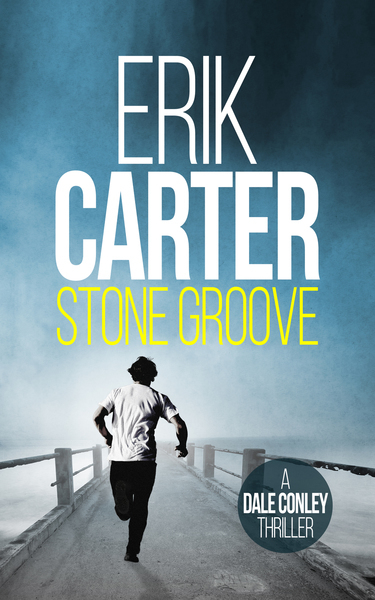 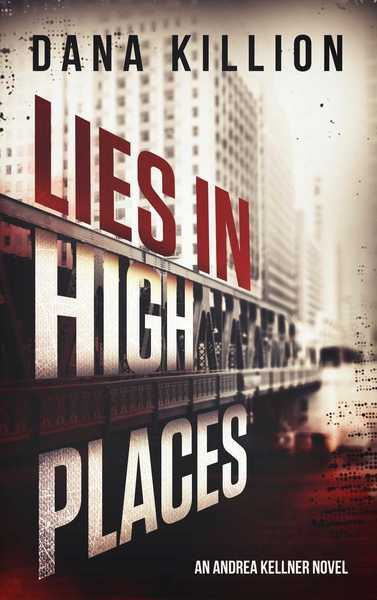 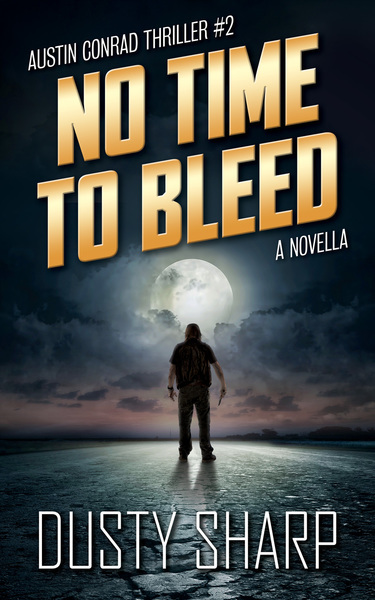 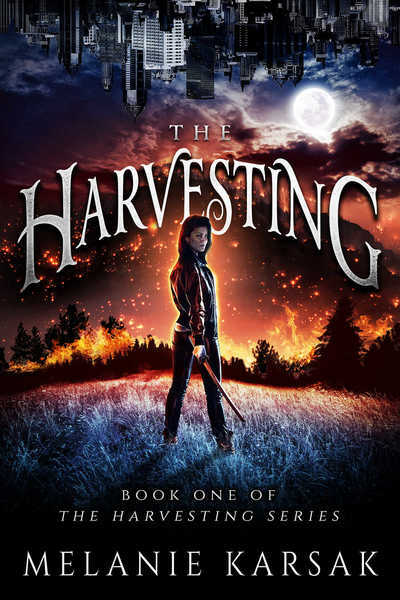 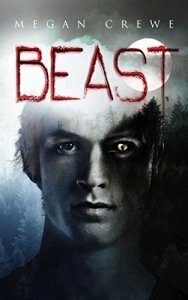 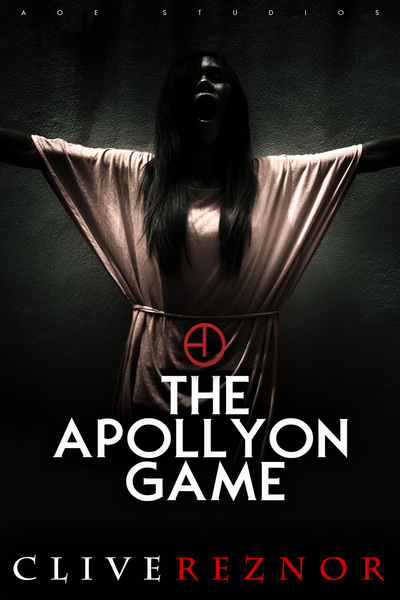 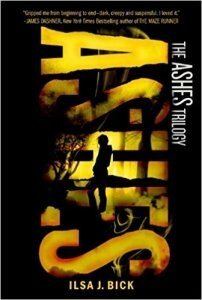 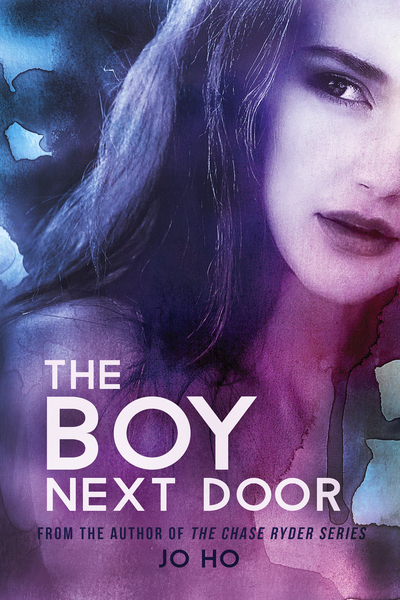 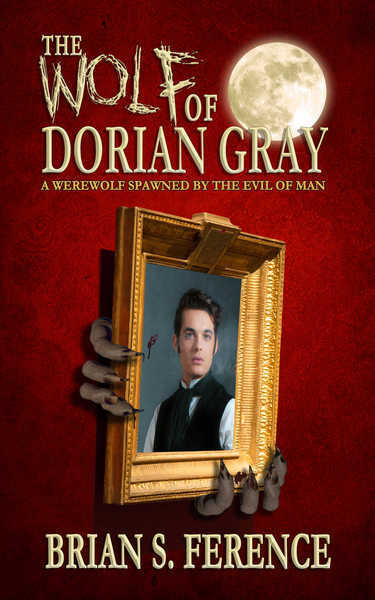 Teen Wolf meets Pretty Little Liars in this edge-of-your-seat supernatural thriller. 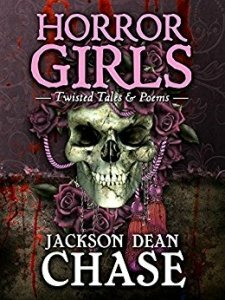 Horror Girls by Jackson Dean Chase A collection of thrilling and demented horror stories for those who love demons, ghosts, vampires, and anything that keeps you up at night. 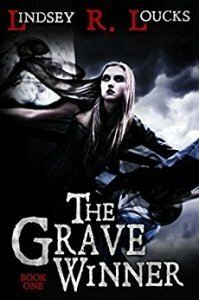 The Grave Winner by Lindsey R. Loucks A spine-chilling YA Paranormal Romance about a teenage girl going against powerful undead, and the darkest sorceress ever to walk the earth. 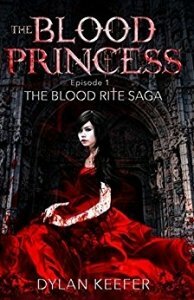 The Blood Princess Episode 1: The Blood Rite Saga by Dylan Keefer Half-vampire Prudence must do all that she can to save herself from spiraling into imminent death in this YA Paranormal Fantasy filled with blood, mystery, and conspiracies. 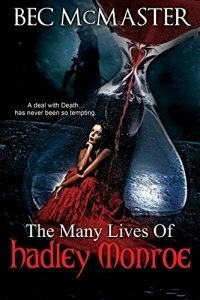 The Many Lives of Hadley Monroe by Bec McMaster Hadley Monroe’s pact with Death means she has to find a way to answer his question to save her grandmother, but he’s beginning to steal her heart. 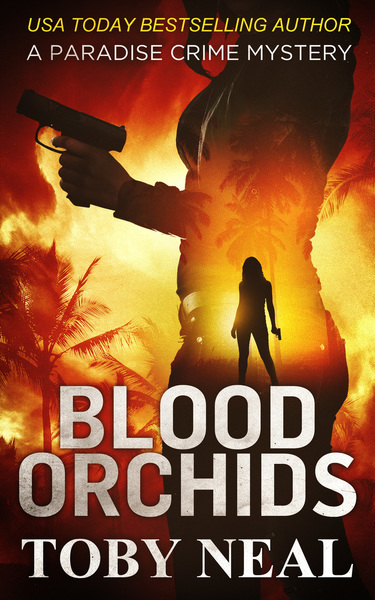 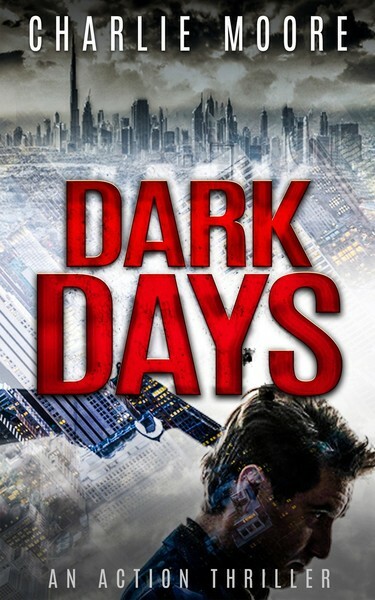 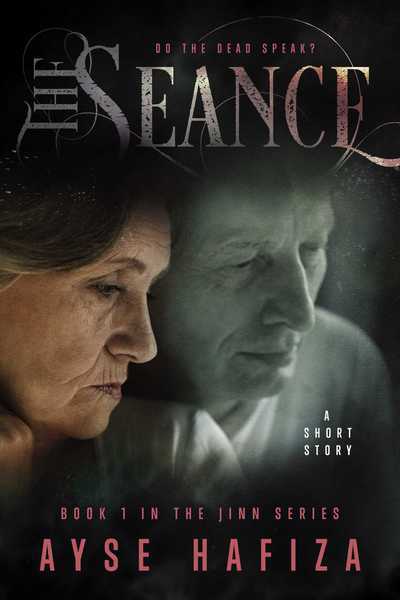 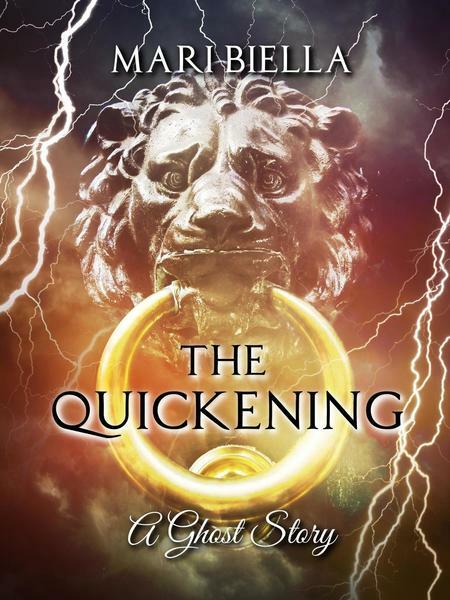 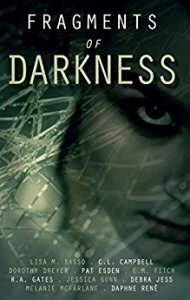 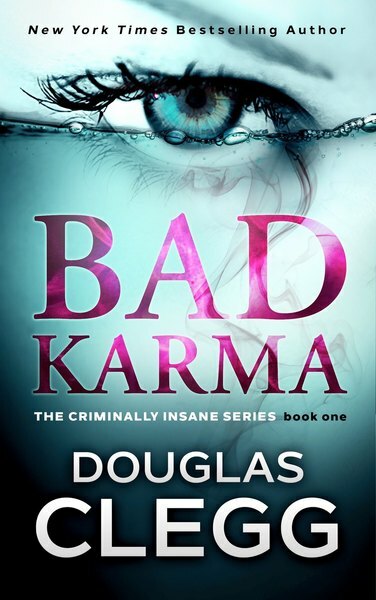 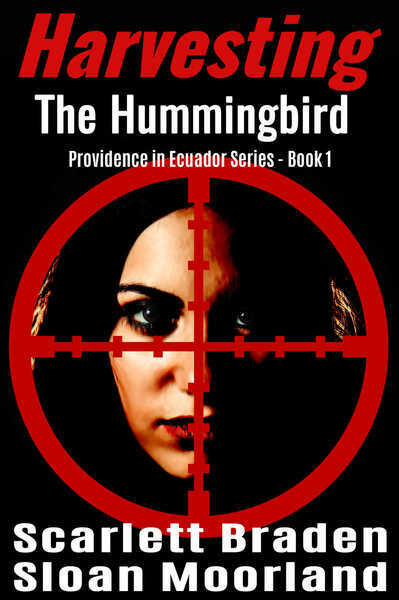 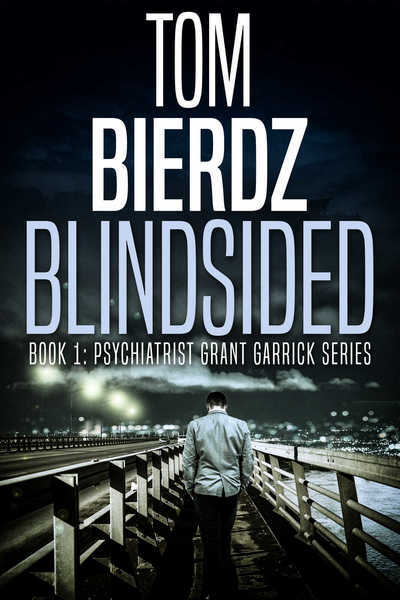 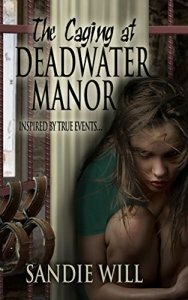 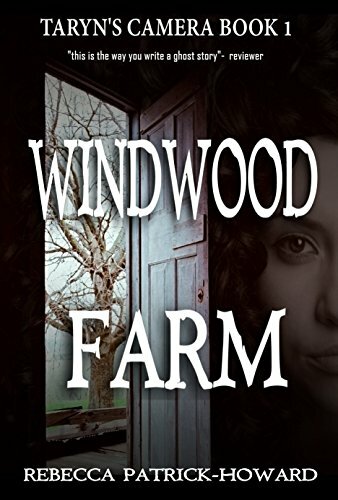 If you like suspenseful shockers, you’re sure to love this psychological thriller that will keep you on the edge of your seat and stay with you long afterward. 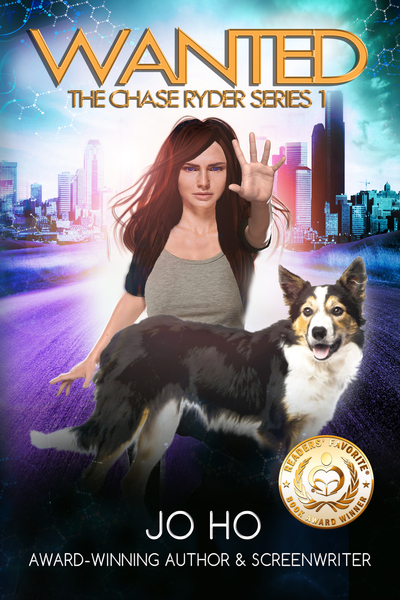 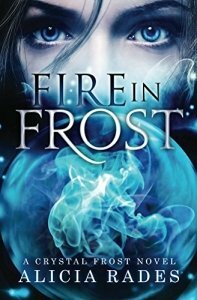 Teenager Crystal Frost must deal with her psychic powers and the dark secrets of family, friends, and classmates, in this thrilling YA Paranormal Fantasy. 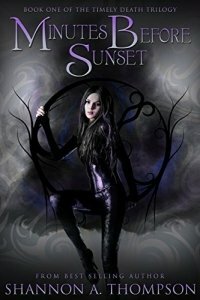 Minutes Before Sunset by Shannon A. Thompson Jessica Taylor’s life changes when she meets part-shade Eric Welborn, who is embroiled in a long-raging war for this kind in this YA Paranormal Fantasy. 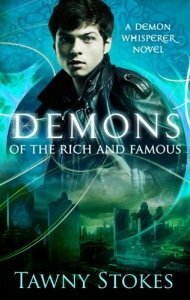 Demons of the Rich and Famous by Tawny Stokes Caden Butcher has to deal with a real exorcism and a demon that jumps bodies in this YA Urban Fantasy featuring Hollywood, demons, and the supernatural. 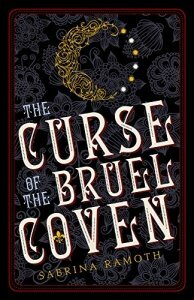 The Curse of the Bruel Coven by Sabrina Ramoth Vivienne Davenport’s real mother is a witch, and Vivienne must tap into her suppressed powers and save her mother and herself, in this YA Paranormal Fantasy filled with magic, mystery, and witches. 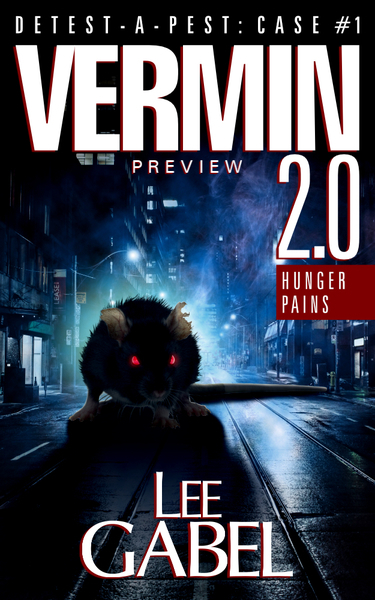 Bullets will fly, flesh will be consumed, and a Hybrid Reanimate will learn a lesson in sacrificial love, and what it means to be truly human. 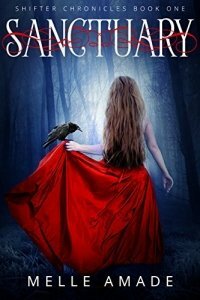 Sanctuary by Melle Amade Shae discovers a violent supernatural world in her hometown, and an ancient feud that threatens to destroy everyone she loves, in this thrilling YA Paranormal Romance with shifters. 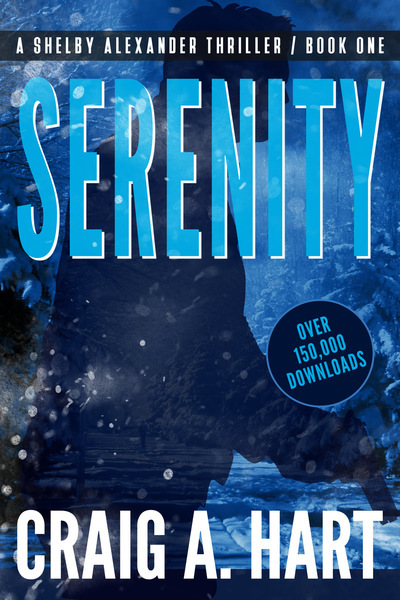 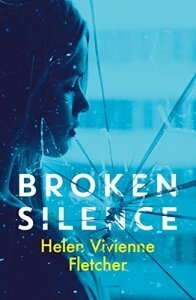 Broken Silence by Helen Vivienne Fletcher Only seventeen-year-old Kelsey knows that the people she loves is in danger, and must discover the identity of the stranger on the phone who’s offering his help, before everything becomes too late. 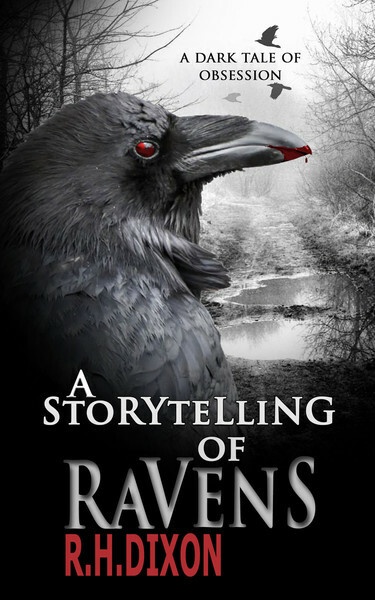 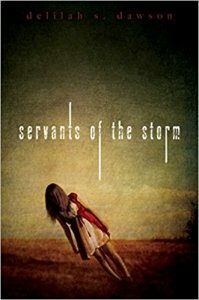 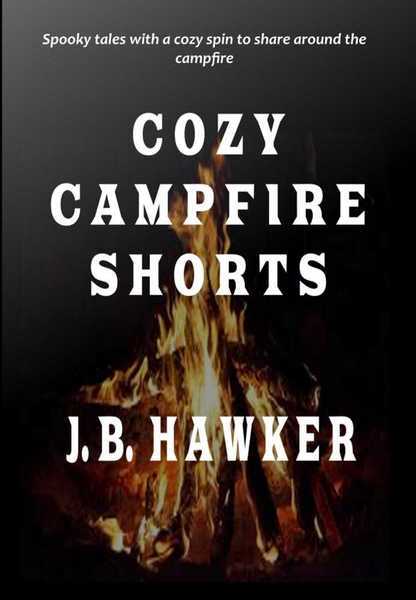 Just in time for Halloween, this dark fantasy short story will transport readers to an alternate Earth where wonders are not always as fantastic as they seem. 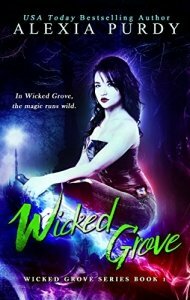 Wicked Grove by Alexia Purdy Amy is an operative of the elite Wicked Grove Supernatural Regulatory Agency, and must find a way to escape a malevolent fairy trabe that captured her in this amazing YA Paranormal Fantasy book. 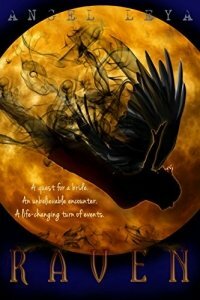 Skin Deep by T.G. 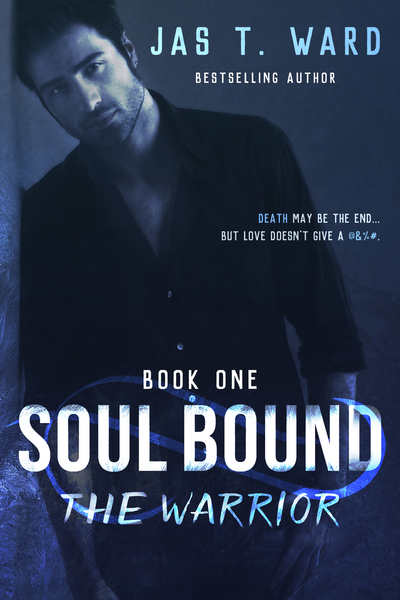 Ayer Panther shape-shifter Kailin Odel, who has the ability to kill Wraiths, must find the one killing off her kind in this YA Paranormal Romance with shifters. 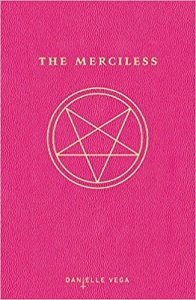 The Merciless by Danielle Vega A group of teenage girls have to find a way out while being hounded by a terrible spirit intent on possessing and killing them in this YA Paranormal book that delves into the question of whether or not there’s evil in all of us. 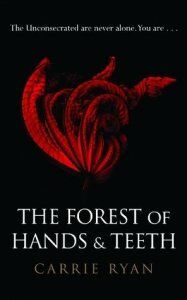 The Forest of Hands & Teeth by Carrie Ryan All the things Mary thought are true about her world are collapsing, and now she must choose between her village and her future, in this YA Dystopian book featuring zombies. 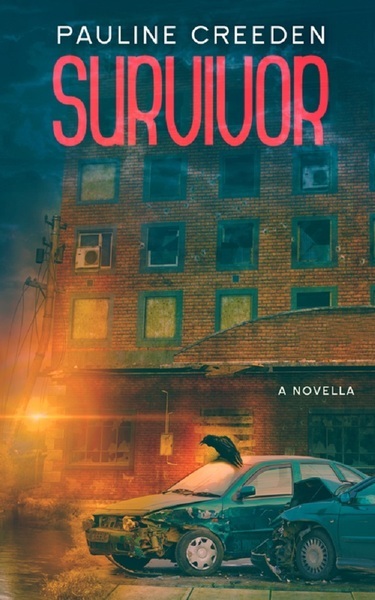 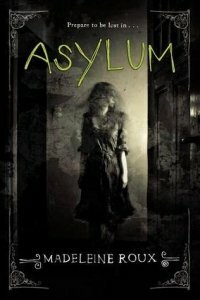 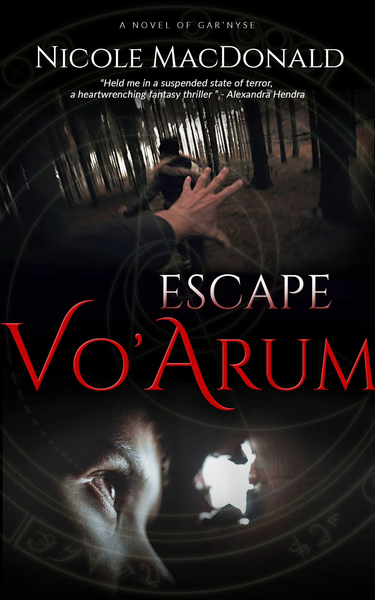 Asylum by Madeleine Roux Sixteen-year-old Dan Crawford discovers that the place he’s attending, New Hampshire College Prep, used to be an asylum, and now Dan and his friends have to unlock the asylum’s terrifiying pasts, and the secrets that refuse to stay buried. 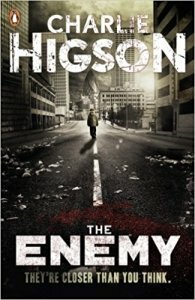 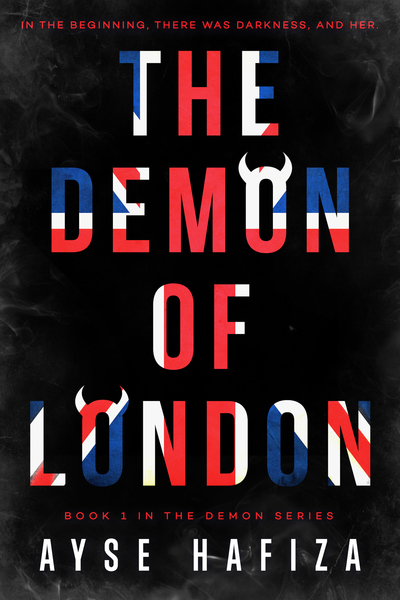 The Enemy by Charlie Higson In a world where everyone above fourteen years old have turned into zombies, a surviving gang of children have to make their way through London and find a way out alive. 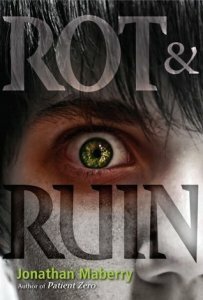 Rot & Ruin by Jonathan Maberry Benny Imura lives in zombie-infested, post-apocalyptic America, and must learn the meaning of what it truly means to be human as he apprentices as a zombie hunter in this YA Horror book. 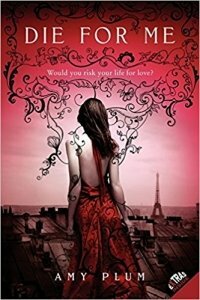 Die for Me by Amy Plum Kate Mercer is falling in love with Vincent, but he’s a revenant whose fate forces him to sacrifice himself over and over again to save others – and he is embroiled in an age-old war with a group of evil revenants. 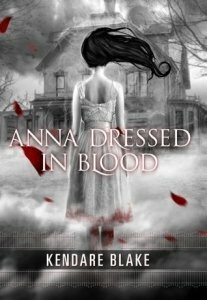 Anna Dressed In Blood by Kendare Blake Ghost killer Cas Lowood is tasked to track and kill the one they call Anna Dressed in Blood, who has killed every person who has stepped into her Victorian home – but she spares his life. 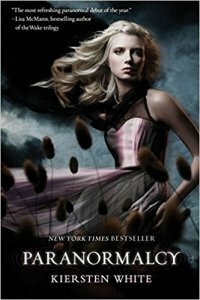 Paranormalcy by Kiersten White Evie works for the International Paranormal Containment Agency – and what she’s about to realize is that she may be at the centr of a dark faerie prophecy promising destruction to all paranormal creatures. 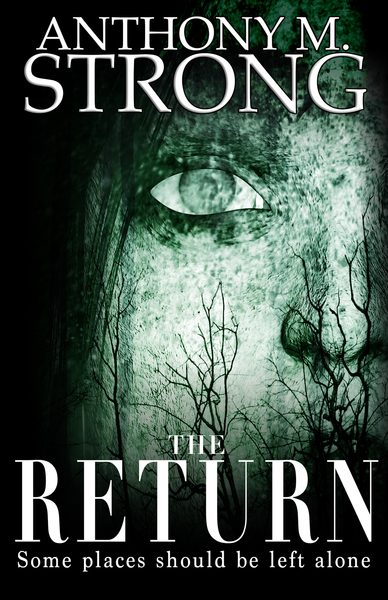 The Replacement by Brenna Yovanoff Mackie Doyle is a replacement who has tried to live a normal life, but now must face the creatures of the Slag Heaps, and find his rightful place – in our world, or in Mayhem. 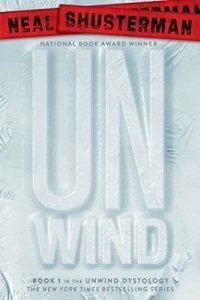 UnWind by Neal Shusterman Connor, Rise, and Lev, are desperate to find a chance to escape, and to survive in a world where they are being threatened to be unwound. 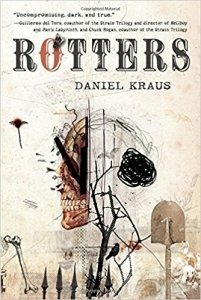 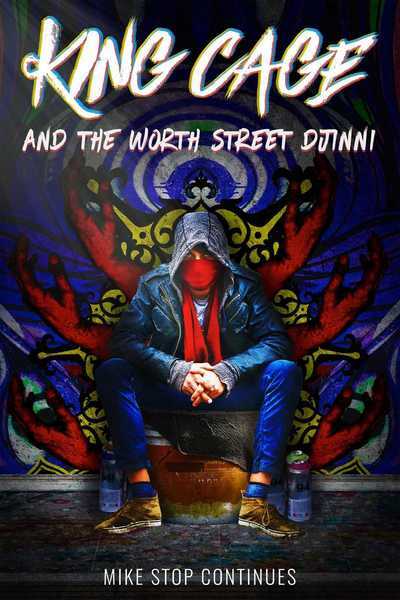 Rotters by Daniel Kraus When Joey’s mother dies in an accident, he is sent to live in Iowa with a father he has never known – and becomes exposed to a life that is macabre and exhilarating. 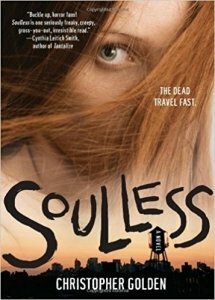 Soulless by Christopher Golden A group of people have to find a way to stop the seance that has produced the walking dead in New York city, or else they will join the undead. 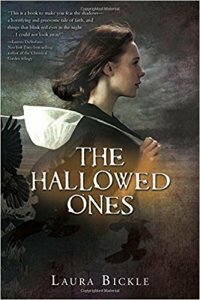 The Hallowed Ones by Laura Bickle Katie’s quiet world turns upside down when she finds a gravely injured young man from the Outside and takes him into her family’s barn – but at a cost to her community. 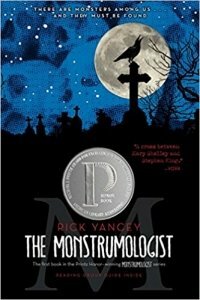 The Monstrumologist by Rick Yancey Will Henry is the orphaned assistant to monstrumologist Pellinore Warthorpe, and his life turns for the worst when a grave robber comes in the middle of the night and gives them their most brutal case yet. 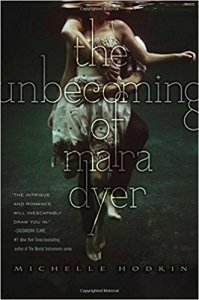 The Unbecoming of Mara Dyer by Michelle Hodkin Mara Dyer woke up in a hospital with no memory of how she got there, and now she needs to discover what truly happened in the accident that killed her friends and left her unharmed. 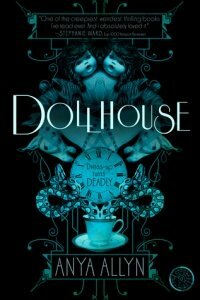 With the horror and otherworldliness of Miss Peregrine’s Home for Peculiar Children and the gothic romance of A Great and Terrible Beauty, Dollhouse is a tantalizing start to The Dark Carousel series. 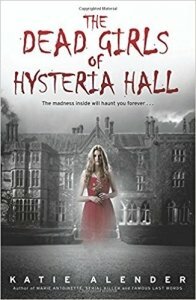 The Dead Girls of Hysteria Hall by Katie Alender Delia’s house used to be an insane asylum known as “Hysteria Hall,” and it’s up to her and the handsome boy ghost named Theo to found out the secrets of the house, before it takes over everything she loves. 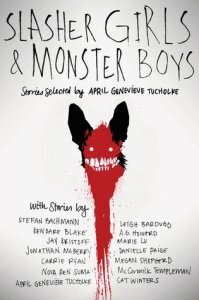 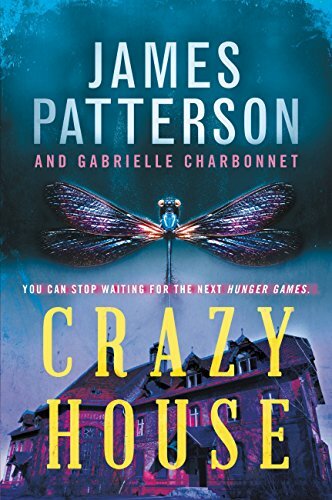 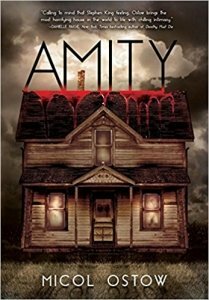 From bloody horror to supernatural creatures to unsettling, all-too-possible realism, this collection has something for any reader looking for a thrill. 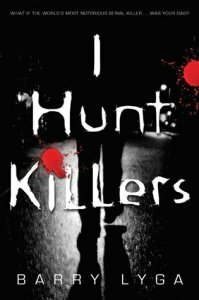 I Hunt Killers by Barry Lyga Jazz Dent, the son of the world’s most infamous serial killer, is out to clear his name when bodies start piling up in Lobo’s nod – but he may be more like his father than anyone knows. 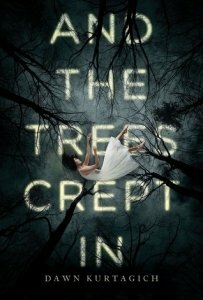 And The Trees Crept In by Dawn Kurtagich Silla and Nori discover that their aunt’s manor is cursed, and must answer the questions and uncover the secrets that keep piling up in the eerie stillness of the house and the surrounding woods. 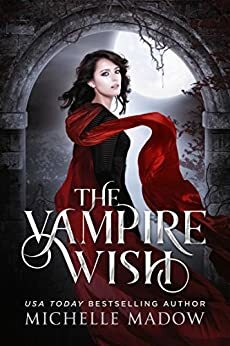 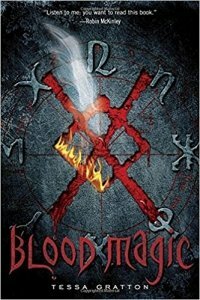 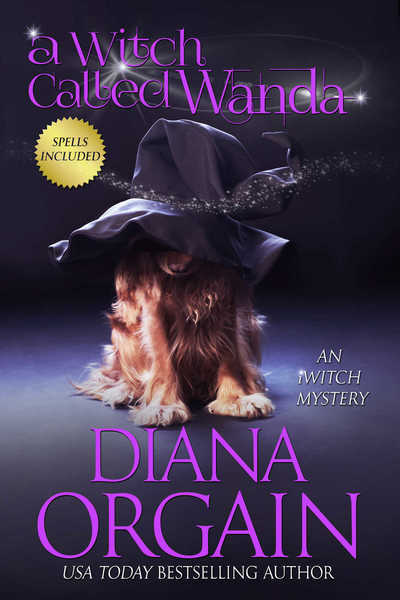 Blood Magic by Tessa Gratton Silla Kennicott’s life has never been the same since her parents’ deaths, and she’s willing to do anything to uncover the truth about her family, and maybe try a few spells from the mysterious book that arrived on her doorstep. 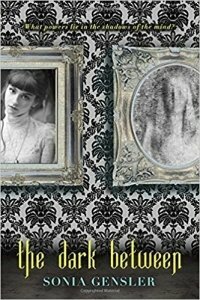 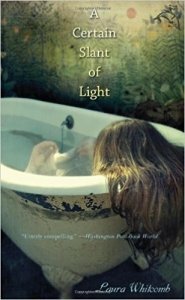 A Certain Slant of Light by Laura Whitcomb Helen is a ghost who, for the first time in 130 years, feels that a human can see her – and this human is a body, who has never seemed remarkable to Helen, until now. 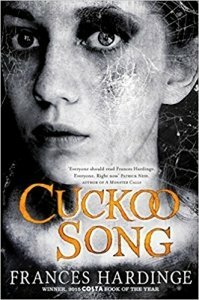 Cuckoo Song by Frances Hardinge Triss wakes up after an accident, discovering that something strange and terrible has happened to her, and that she is quite literally not herself. 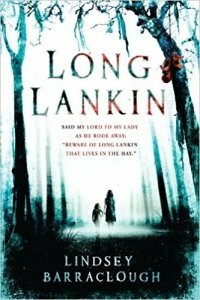 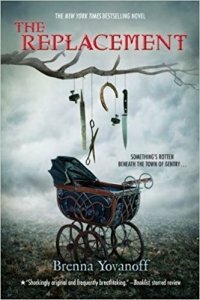 Long Lankin by Lindsey Barraclough Cora, her sister Mimi, and two boys from their village of Byers Guerdon mmust uncover the terrible truth that has held the town in its dark grip for centuries – before it becomes too late for Mimi. 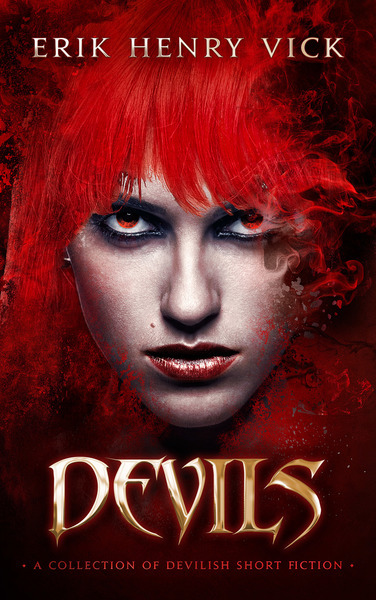 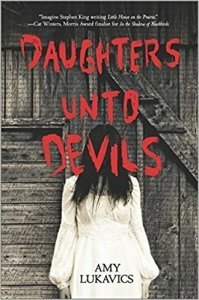 Daughters Unto Devils by Amy Lukavics Amanda Verner’s family moves to a vast prairie for a fresh start, but when the Verners arrive at their new home, they discover that the inside is covered with blood – and that the lands around them are tainted by evil and sin. 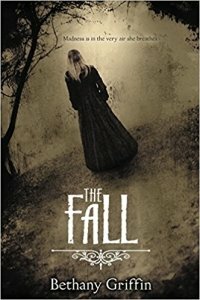 The Fall is a literary psychological thriller, reimagining Edgar Allan Poe’s classic The Fall of the House of Usher. 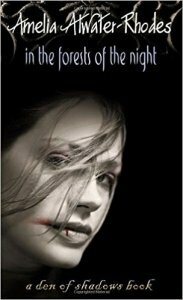 In the Forests of the Night by Amelia Atwater Rhodes Risika is a vampire who hunts the streets of New York City at night, alone, but someone has been following her – and now her past has come back to torment her. 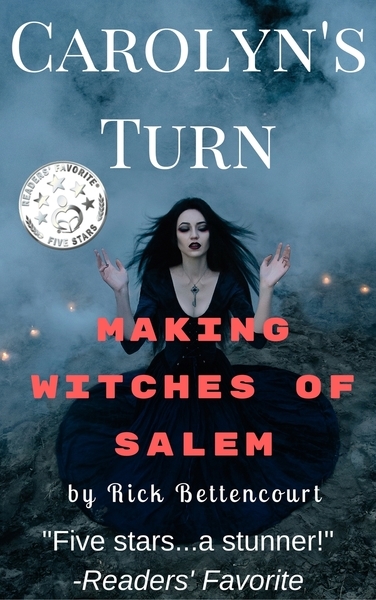 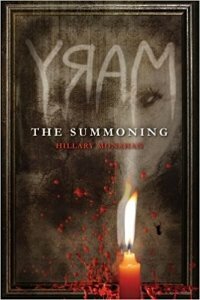 Mary: The Summoning by Hillary Monahan Four teenage girls manage to summon a ghost called Mary, who escapes the summoning circle, unleashes her wrath, and makes the girls question loyalties and tear apart their friendships. 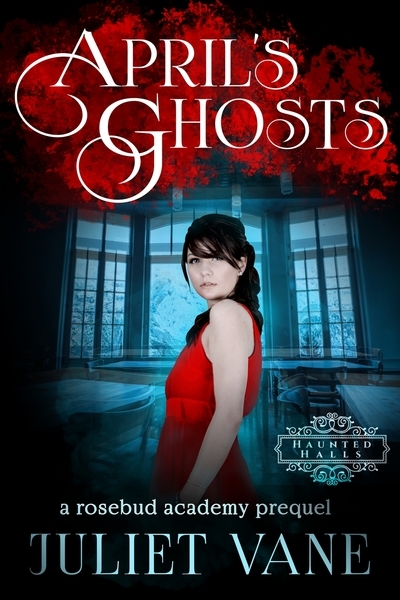 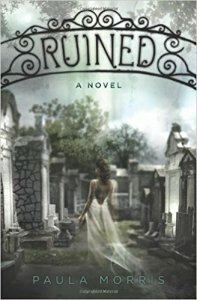 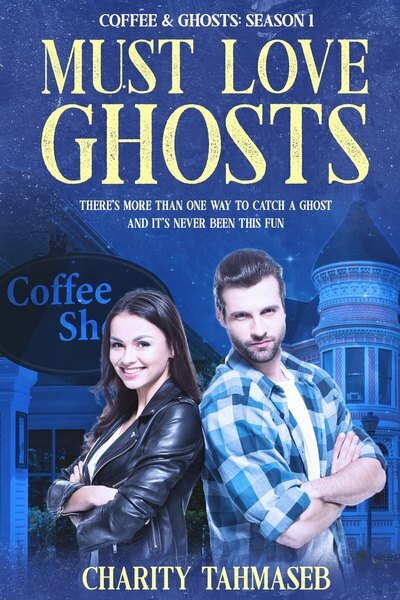 Ruined by Paula Morris Rebecca’s life is far from happy, but then her life changes when she makes a friend – Lisette, the mysterious ghost who haunts Lafayette Cemetery, and wants to show Rebecca the nooks and crannies of the city. 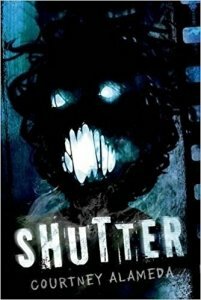 Shutter by Courtney Alameda Micheline Helsing, one of the last descendants of Van Helsing, can see the auras of the undead. 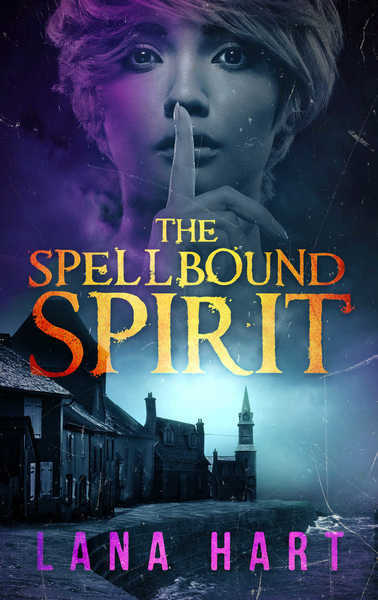 Now she and her friends are plagued by a curse called the soulchain, which Micheline should exercise within seven days or less, or else she and her friends will die. 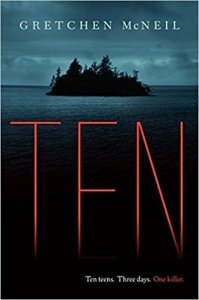 Ten by Gretchen McNeil An exclusive house party on Henry Island goes wrong, when best friends Meg and Minnie discover a DVD with a sinister message, and when people start dying and the storms start raging. 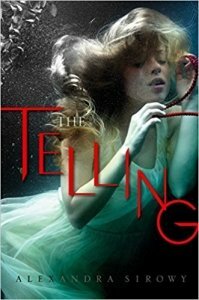 The Telling by Alexandra Sirowy Lana’s life changes when she jumps into the water from too high up, her life filling with horrors, deaths that only make sense in fantasy, and terrors from a past Lana thought long forgotten. 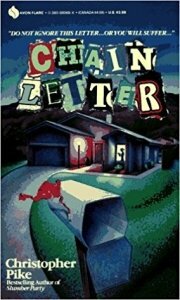 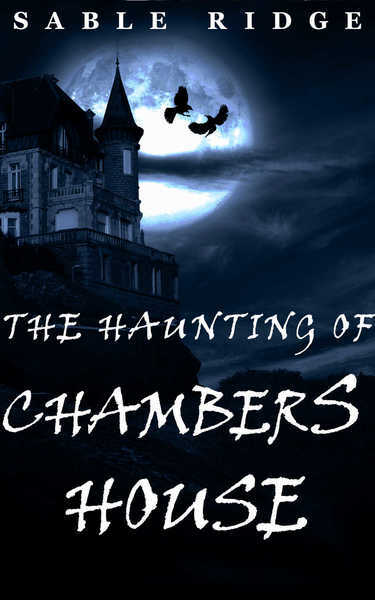 Chain Letter by Christopher Pike A chain letter signed “Your Caretaker” demandsd threatening, dangerous deeds from Alison and her friends, and they have to fight for their lives once the accidents start happening and the deaths start piling up. 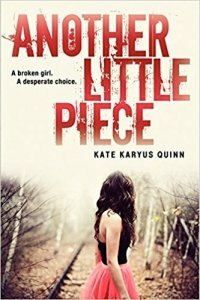 Another Little Piece by Kate Karyus Quinn Annaliese Rose Gordon disappeared a year ago, stumbling into a woods and drenched in blood. 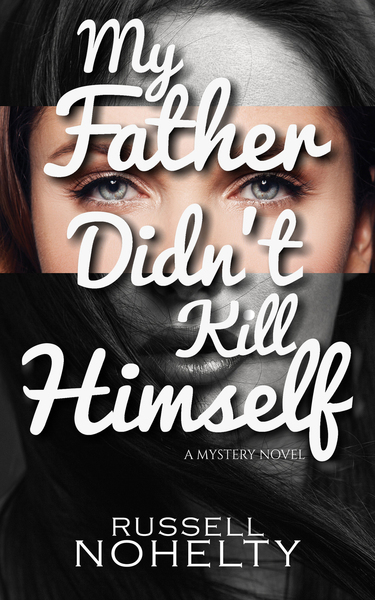 Now she’s back, but she knows only one thing: she is not the real Anneliese Rose Gordon. 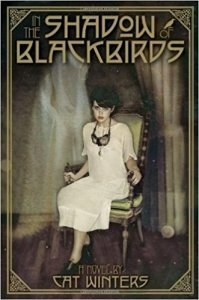 In the Shadow of the Blackbirds by Cat Winters In a world on the verge of apocalypse, Mary Shelley Black discovers that she has to rethink her entire way of looking at life and death when her first love – a boy who died in battle – returns in spirit form. 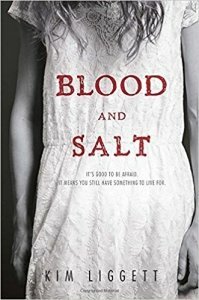 Blood and Salt by Kim Liggett Ash Larkin is plagued by memories of her ancestor and is drawn to a boy with dark secrets. 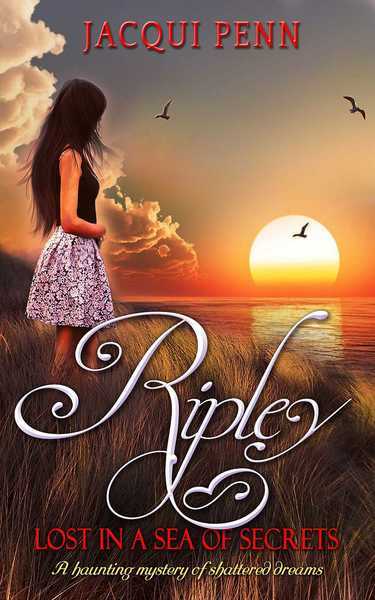 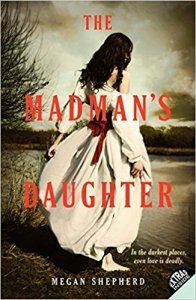 Ash must fight not only to save her mother, but also herself – and discover the truth about everything in Quivira, Kansas, before it is too late. 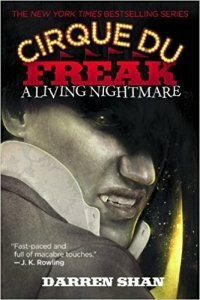 Filled with grotesque creatures, murderous vampires, and a petrifying ending, Cirque Du Freak will chill, thrill, and leave readers begging for more. 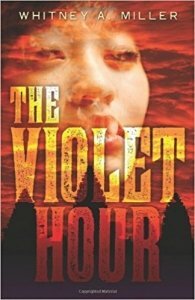 The Violet Hour by Whitney A. Miller Harlow, the daughter of VisionCrest’s patriarch, can hear a voice in her head that is plaguing her with violent and bloody visions – and it’s getting harder and harder to control. 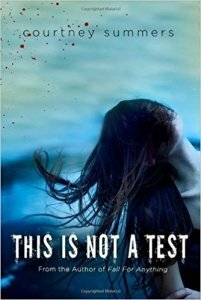 This Is Not A Test by Courtney Summers Sloane Price, along with five other students, are cooped up in Cortege High trying to survive from the outside world – but they are slowly being plagued by the unpredictable and violent bids for life and death inside. 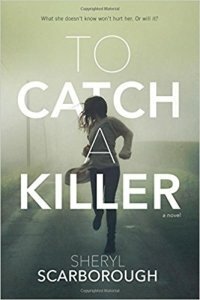 To Catch A Killer by Sheryl Scarborough When she discovers the body of her biology teacher, Erin makes it her mission to hunt down the killer – the same killer who murdered her mother fourteen years ago. 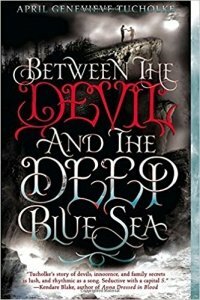 The Dark Between by Sonia Gensler Kate, Asher, and Elsie take refuge within the walls of Summerfield Castle, but their peace is shattered by the discovery of a dead body nearby. 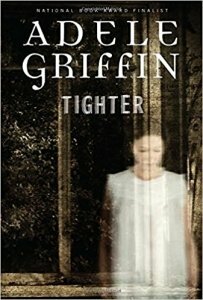 Tighter by Adele Griffin Seventeen-year-old Jamie arrives on the idyllic New Englad island of Little Bly to work as a summer au pair, but there is no peace when she gets there, as she has to discover the truth surrounding a young couple’s tragic deaths. 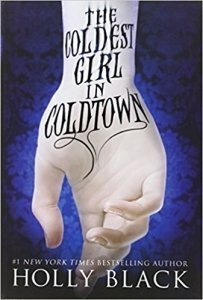 The Coldest Girl in Coldtownis a wholly original story of rage and revenge, of guilt and horror, and of love and loathing from bestselling and acclaimed author Holly Black. 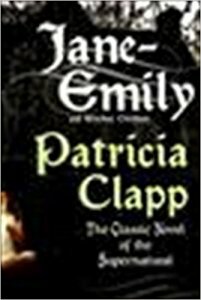 Jane-Emily by Patricia Clapp Jane is a nine-year-old orphan spending the summer at her grandmother’s mysterious mansion in Massachusetts – and it is there where she meets the selfish, hateful Emily, a child who died before her thirteenth birthday a long time ago. 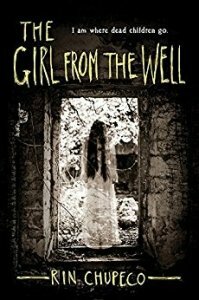 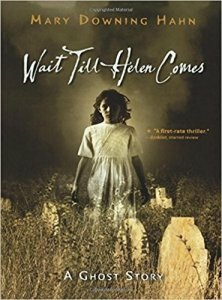 Wait Till Helen Comes by Mary Downing Hahn Heather, a whiny little brat, has found a new friend in the graveyard behind their home – a girl named Helen who died with her family in a mysterious fire, over a hundred years ago. 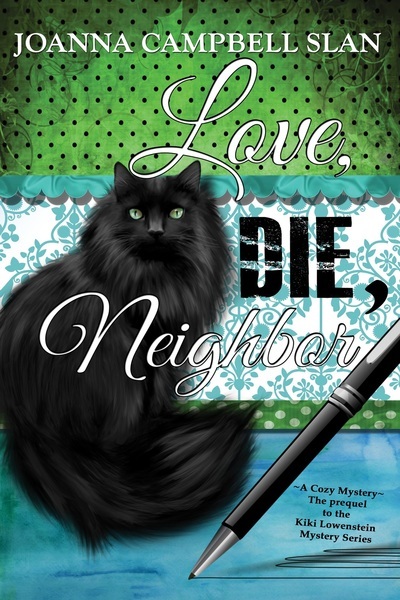 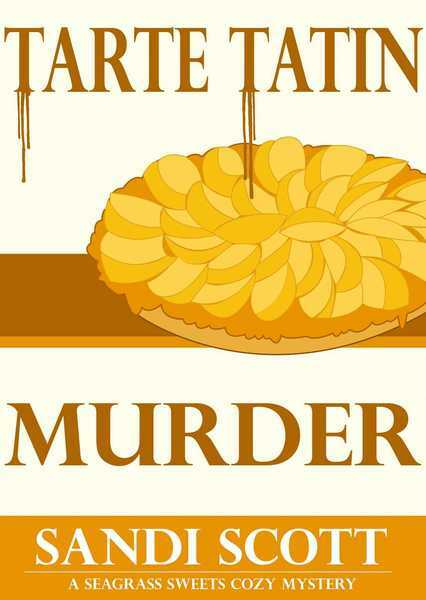 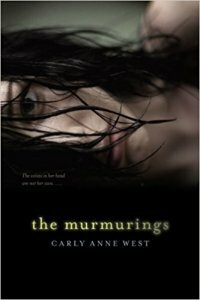 The Murmurings by Carey Anne West Sophie tries desperately to solve the mystery of her sister Nell’s last days, who committed suicide because the strange voices she heard drove her to. 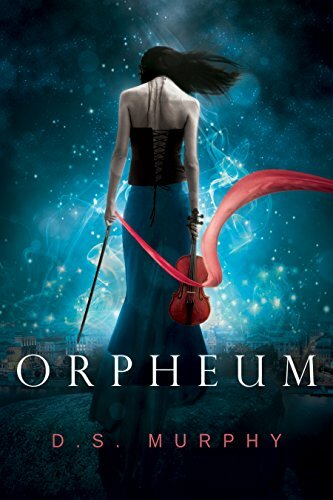 Orpheum, by D.S. 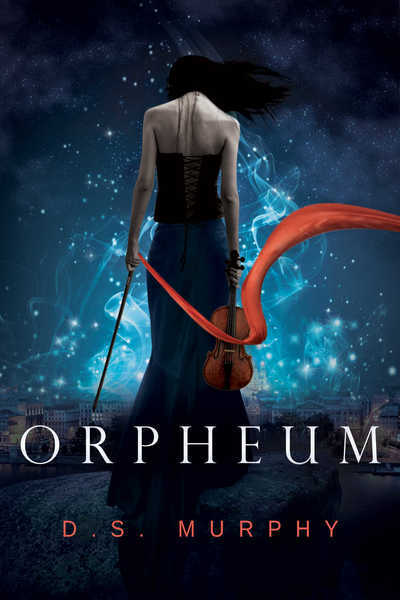 Murphy I spent a decade becoming the best violinist in my state – but a single letter dashed my hopes of a musical career. 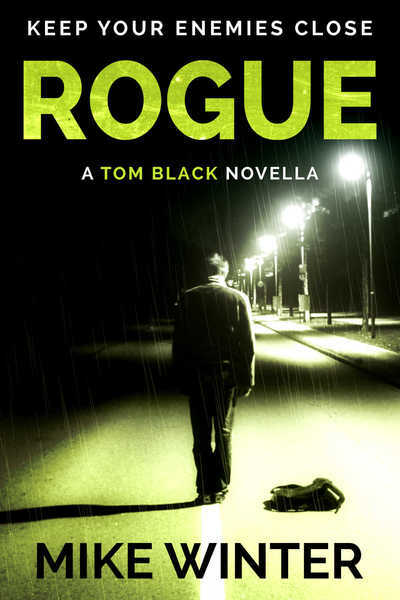 Desperate to escape my sheltered existence, I took a mysterious offer from a music school in Bulgaria. 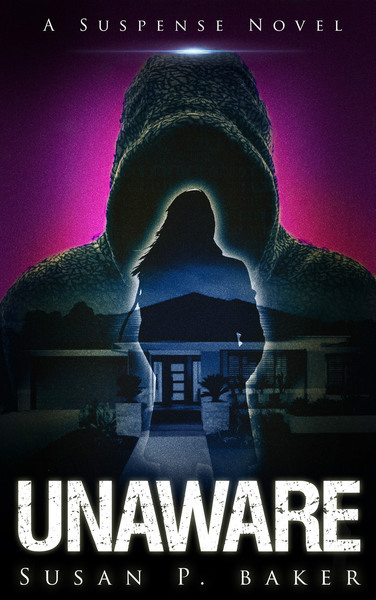 Seventeen-year-old Becca Greenfield was snatched from her small hometown. 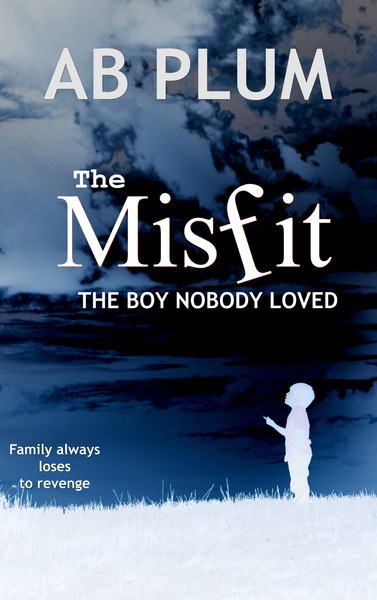 She was thrown into a maximum-security prison and put on Death Row with other kids her age. 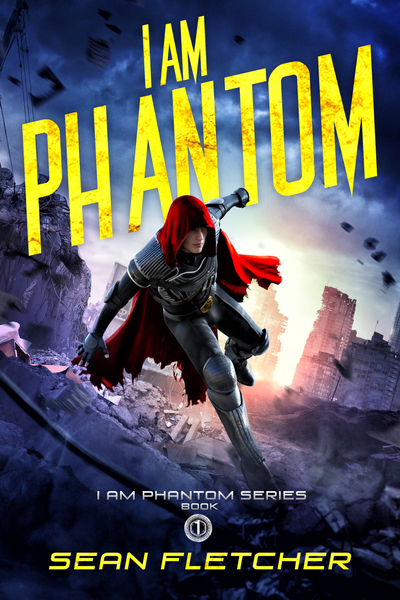 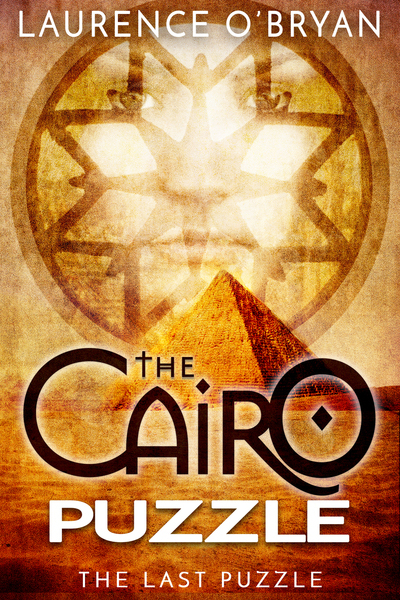 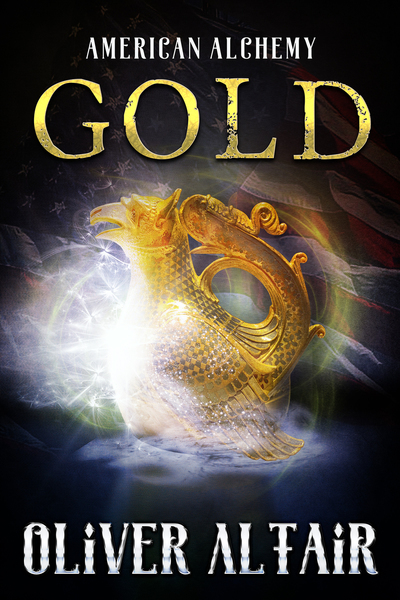 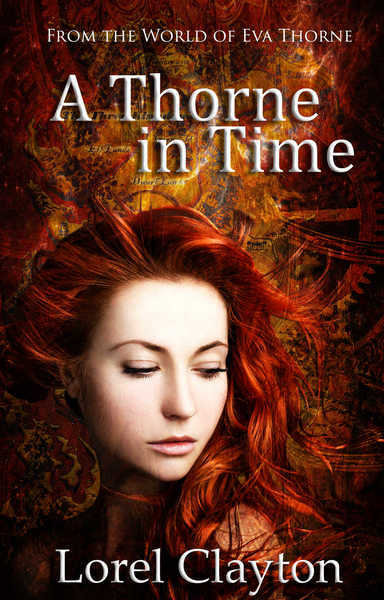 TWILIGHT MEETS ALADDIN in this hot new fantasy series by USA Today bestselling author Michelle Madow! 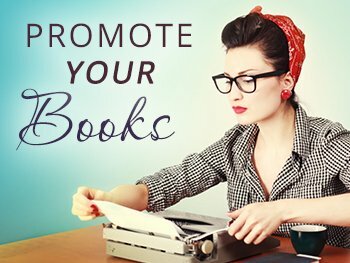 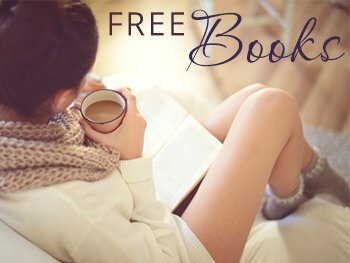 We’ve set up a massive BookFunnel bundle of free books – they’re only available from Oct. 13th to the 31st, 2017. 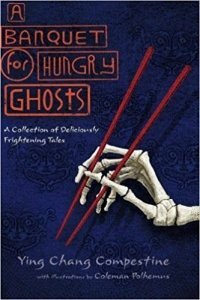 Grab them now in the “thrilling Halloween” bundle. 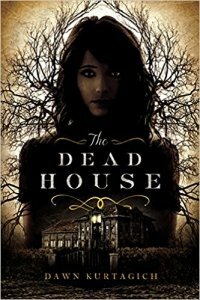 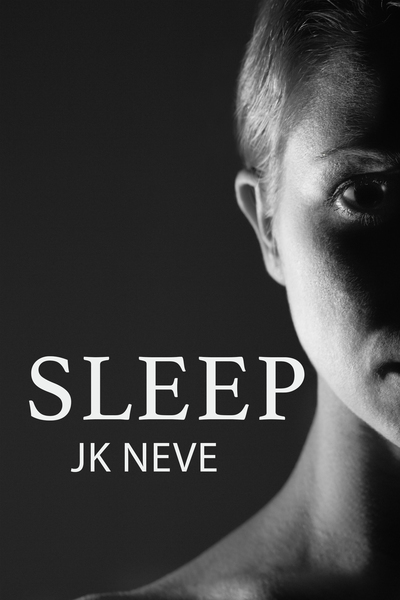 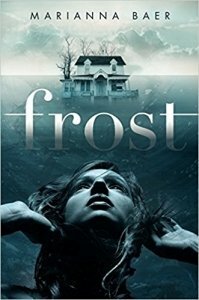 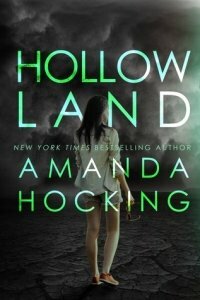 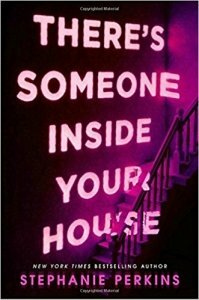 Looking for a spooky read that will keep you up at night? 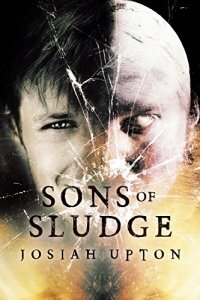 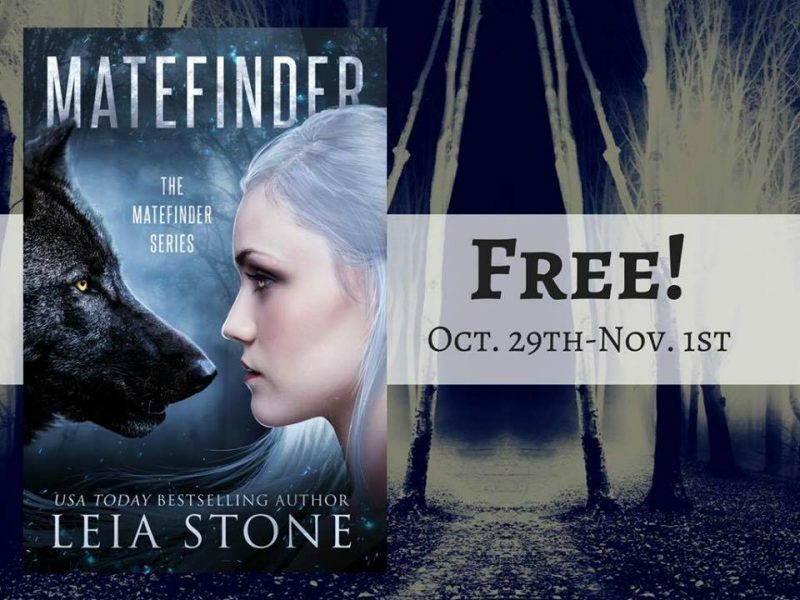 We’ve collected a massive bundle of FREE paranormal suspense and supernatural thriller books from authors who love Halloween. 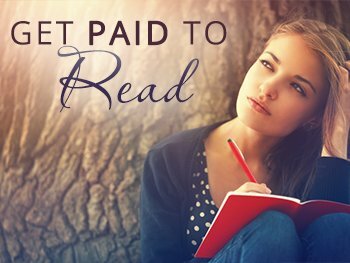 Grab them all now and discover you new favorite author. 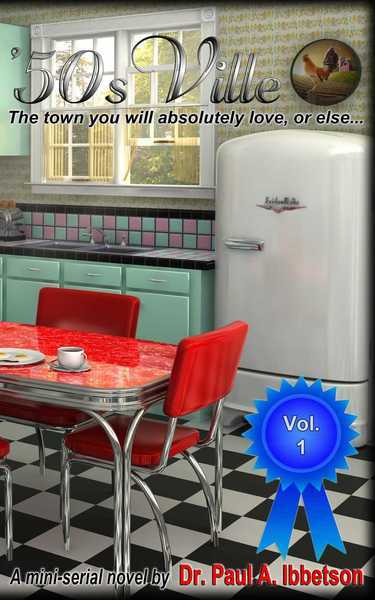 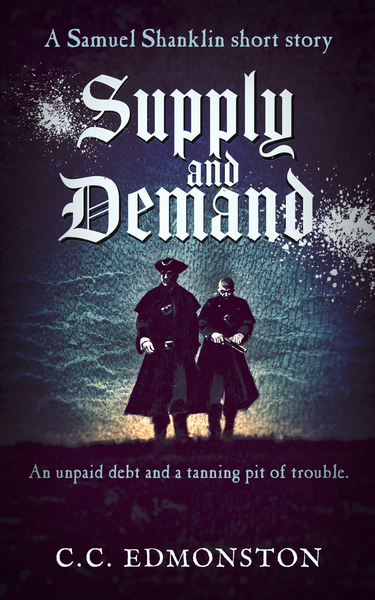 Click HERE, or on the covers below. 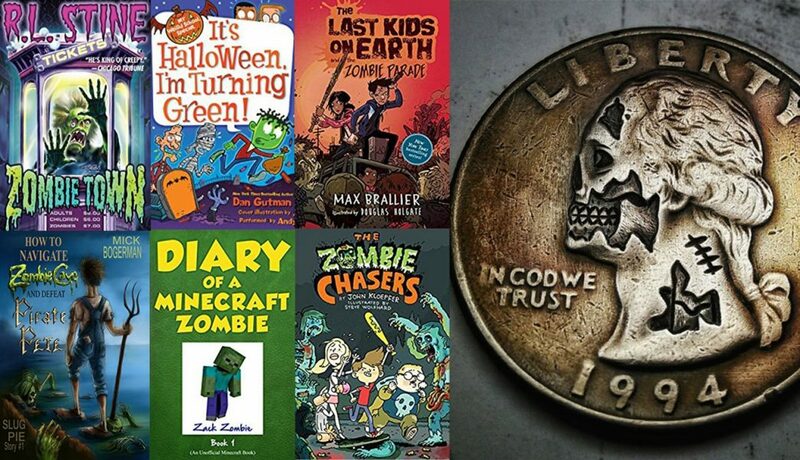 FacebookTwitter Sign up and share to win these six zombie books!